It’s been 3 years since I started blogging on ‘God’s Enduring Love’. I had no idea what to expect when my son, a non-blogger at that time, told me to ‘try Word Press. Their support team was there for me and also a couple of new friends soon stepped in and offered their help to a novice blogger. FACEBOOK and eBOOK– The impetus for my blog site began when I was moderator for a Facebook group in 2011 that later became the Sounding the Shofar group. For 2 months in the latter part of 2011 I was very ill with the worst sinus infection imaginable, and it was during this time that I collated my notes and started writing an eBook, ‘Sounding the Shofar- Exhortations for the End Times’. I had to have help publishing it since I couldn’t make heads or tails out of the self publishing guides. A fine company, Trafford Publishing, came to my rescue by offering a special at that time and by the end of 2011, they helped publish the final draft of my book. Copies were made of my eBook and given to pastor friends in the Philippines on our last mission trip. Since then I have declined Trafford’s repeated offers to help me market my eBook, explaining to them that I had intended all along to ‘give it away free’. The Bible says, ‘Freely you have received, freely give’ (Mt 10:8). About My Blog– ‘God’s Enduring Love’ was actually started as a ‘trial run’ on May 26, 2012 for ‘learning how to set up a blog site’ and then get Drgold’s blog going. You see, he is the Bible teacher in our household who needed to start a blog to share his many Bible lessons and articles of current interest that he tirelessly works on. I just tried to light a fire under him. If I learned how to blog, I would get his started for him which I did a month later in June 2012. Since our 3rd Word Press anniversary Drgold is going great guns with over 20,000 views than me. Besides Bible studies, there is a lot of interest in his research on current events in the nation and the world. Perhaps I should faze out my blog and let Drgold do all the writing from now for both of us. Well, I haven’t figured out how to do it. Stop blogging I mean, and then I could continue on with my BB life ‘before blogging life’ with my other interests and pursuits. But if I do, I will surely miss the company of all the friends I’ve made all over the world! GOD BLESS ALL OF YOU VIEWERS IN 167 COUNTRIES! THIRD YEAR ANNIVERSARY! A Viable Blog or Not- With 31,000 views!? This week is my 3rd anniversary with WORDPRESS! I couldn’t imagine maintaining a blogsite even 3 years long when I started writing on May 26, 2012. Such a green horn I was, terribly computer illiterate as far as doing anything more than email and word processing that I was familiar with. Some of my challenges with blogging are chronicled in ‘ABOUT MY BLOG’ in the Side Bar CATEGORIES (read May-June 2012). When I first told my son that I wanted to start a blog, he told me it was easy to do and to go with WORDPRESS. That was the extent of encouragement he gave me because he knew nothing beyond the fact that he knew people with WORDPRESS blogs. So much for his help! Few people even know that my intention was not to have my own blog site, but to practice starting a blog under my name and learn how to do a blog, then soon after I would launch Drgold’s blog, ‘God’s Hidden Nuggets for the Endtimes- Revealing Truths from the Word of God’. I had hoped to get his blog going and I would fade out somehow. When I began to post, I simply reposted content from my Facebook which later was the impetus for my eBook, ‘Sounding the Shofar- Exhortations for the Endtimes’. This eBook can be read FREE from my TAB BAR! It was quite a daunting task to learn how to blog from books like ‘Blogging for Dummies’ and WordPress tutorials, but the WordPress Support team came to my aid, as well as two blogger friends, Shekinah and Rommel, who helped me with the technical aspects of our blogs. It was by the GRACE OF GOD that we were able to get Drgold to publish his first Bible lesson on June 22, 2012, a month after mine got going. His first post, ‘What Really Happened In the Garden of Eden- God’s Eternal Purpose Revealed’, Part 1, remains one of his top posts. A popular post on my site is ‘Why Do People Resist God’. There are viewers of this 2013 post every week! Drgold has been posting important End Times teachings and at this date has had over 52,000 views- over 20,000 more than me! Of course, we have different writing styles and reach different audiences, but our focus is the same- America, the church, Endtimes, preparing people for the Lord’s Return and for the Rapture, and related subjects. Serious students of the Bible and followers of current events and Bible prophecy gravitate to his blog, while I have a diverse group following my blog site because my varied interests also include art, music, travel and photography. Back to me- A WORDPRESS editor wrote an article a while back and said that a viable blog should have at least 10,000 views a year. So I have just ‘made it’ at 31,000 views! Then yesterday WORDPRESS told me I published 500 posts! That is incredible! I have written only a percentage of them, re-posted all of Drgold’s writings, re-blogged and linked from many other blog-sites, compiled popular topics on my TAB BAR, and shared videos of my favorite worship and praise songs, etc. It has been 3 interesting and exciting years of WORDPRESS blogging! TO GOD BE THE GLORY! 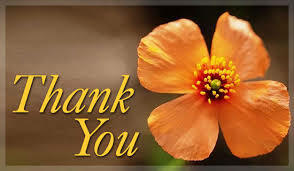 Drgold and I want to THANK YOU for reading our blog posts! We believe that the signs in the world point to the soon coming of our Lord and Savior Jesus Christ! Our prayer for you is that you will draw closer to God and His Word, and have your faith strengthened as you place your hope and trust in God in the coming days.